Perspective | Fact, fiction or journalism? If you can prevent your blood pressure from jumping up and down, the history book I am going to write about can provide you with all the shocks one expects in a cheap detective thriller. But first, something about the scope for the study of history, as determined by our learned policy-makers. When the hated British were ruling our land history - forget the alien rulers' view of it - was taught as a compulsory subject in high schools. One had to study not only all the periods of the country's history - the ancient and Hindu, the Muslim and the British - but also quite a detailed history of England. Now, thanks to independence, history is not taught as a separate subject in schools. 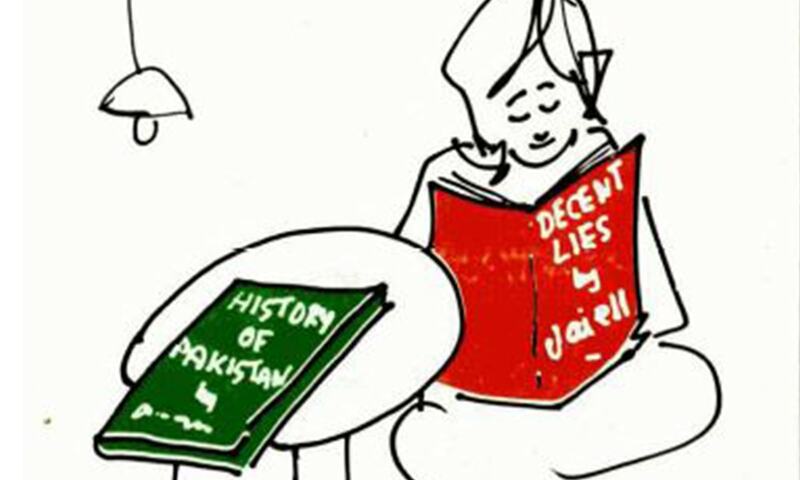 (The compulsory subject described as Pakistan Studies certainly does not fall in the category of history.) Thus, history is introduced a a subject of study in Intermediate classes. The students have a choice between two options. First: History of Pakistan (1707-1973 A.P.) and History of the Muslim World (1800 to 1956 A.D.)· Second: History of the Sultans and the Mughals (71 A.D. to 1707 A.D.) and History of Islam Holy Prophet Khulafa-i-Rashideen 70 and the Ummayyads. Clearly, for college students intending to study the history of their own country, the millennia before 712 A.D. when Mohammad bin Qasim conquered Sindh, is not considered relevant at all. At the moment however, we are concerned with the history of Pakistan, for which the syllabus is laid down by the federal authorities. The Handbook of Curricula and Syllabi for the Intermediate Examination, 1984, to be held by the Board of Intermediate and Secondary Education, Lahore, defines twenty-three chapter headings. In accordance with this syllabus, history books are written by teachers or by hacks and published under teachers' names. The Board does make suggestions as to which books the students may follow but the teachers have their own preferences. Thus, quite a few textbooks have been compiled by influential teachers and different books are recommended by teachers on the basis of their connections. One of the most widely recommended books is 'Tarikh-i-Pakistan' by Mohammad Abdullah Malik, M.A., described as Head of the Department of History, Government Islamia College, Railway Road Lahore, which provides as good an idea as any of the kind of history that our youth are taught. The book has all the 23 chapter-headings given in the syllabus plus three more, bringing it up to the end of 1977. The language one finds here is of the same order as semi-literate, loose journalistic piece. For example: "Sir Ghulam Hussain Hidayatullah ko Congress kay haath lagey huai thay" (had been roughly treated by Congress). "Congres kay pithuon ne khauf-o-hiras (terror spread by Congress stooges). ln the 1965 war, India "ki fauji taqat ka kachoomar nikal gaya" (military power was disgraced). Even these deviations from propriety of expression pale into insignificance when one takes note of the omissions. Since the book is apparently a collection of essays on the subject mentioned in the syllabus, there are many gaps in what would be considered essential to the continuity of history. ln the 458-page book, Moenjodaro and Harappa are not mentioned even once. There are brief notes on the pre-1947 history of Punjab Sindh and the NWFP, but Balochistan is totally ignored. There is a review of the cultural legacy of the Mughal but nothing about the culture of the Pakistani people. The progress of languages and literature under the Mughal and the British is recorded, but there is not a word about post-1947 development. The reader of this book would not know what languages are spoken in Pakistan. In this history of our people between 1707 and 1947, the world war and their impact on the subcontinent do not figure. During the long freedom struggle only two parties are discussed - Congress and Muslim League. There is no account of other parties, including the Khaksars, Ahrars Khudai Khidmatgars, etc., or of peasant and workers' organisation. No mention of Bhagat Singh, or INA or even the naval ratings' revolt! The author acknowledges his debt to a number of other authors but avoids primary source of history. It is thus natural that for the assessment of historical vents he depend on 'khulasa' writers of the earlier decade; one hardly comes across an independent or modem appreciation of the Mughal rule the policies of the British, or the travails of the people during the last three decades. The most cavalierly written part of the book deals with the post-1947 period. Some examples: The Quaid-i -Azam receives summary treatment. His August 11, 1947, speech is ignored and the only reference to his views on the constitution is that in February 1948 he declared that the constitution would reflect democratic and Islamic values. Khwaja Nazimuddin did not come up to expectations. Malik Ghulam Mohammad was a crafty and cunning man. 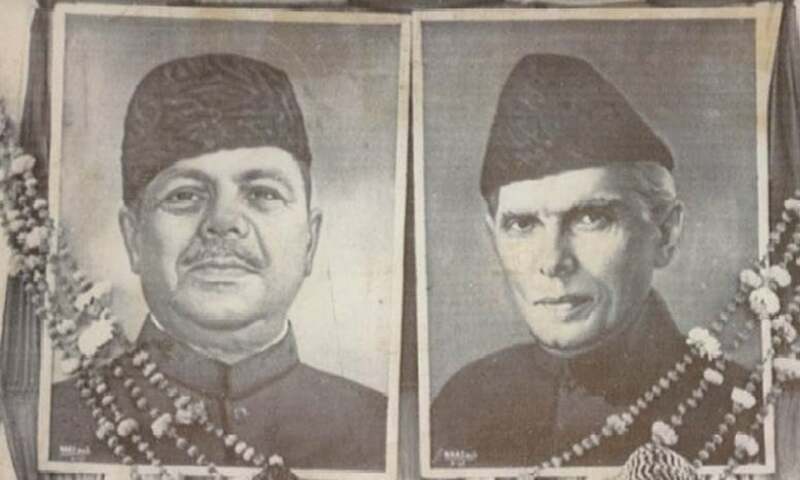 No mention that Nazimuddin was dismissed or that the constituent Assembly was disbanded, or of the effect these vents had on the country's future. About military pacts, the author says it is not possible for small nations to avoid joining one of the power blocs. By joining military pacts Pakistan adopted a positive and constructive policy as opposed to a merely negative and non-aligned policy. The 1954 defence pact with the USA solved defence problems but "one of the harmful results was that Pakistan began to be counted a a friend of the Anglo-American bloc. Russia, in particular was provoked and it started patting India's back. Thus, India staged a farce of its neutrality ... ". Seato was joined because "when China had successfully carried out its red revolution, its conquering push was directed towards south-east Asia. This posed a threat to the security of this region." Although it is mentioned that Miss Fatima Jinnah opposed Ayub Khan in the presidential election, her consistent opposition to his undemocratic regime is not recorded. Only one of her speeches is quoted that of October 28 1958, in which she had wished the military ruler well! There is no objective assessment of the Ayub rule and the account is generally laudatory. The 1965 war ended in a victory for Pakistan. It ruined the economy of India and "people there started dying of starvation" while Pakistan's economic condition remained good. The East Pakistan tragedy is dismissed in as much space as is allotted to Anjuman Himayat-i-Islam (the association running the college where the author served). The postponement of the Assembly session by Yahya Khan is not mentioned nor the farcical by elections which sealed the fate of Pakistan in 1971. Everything happened because of Sheikh Mujib's obduracy ('hadharmi '). Tikka Khan crushed the 'rebel elements' and only Hindu and those Bengalis who patronised Hindus escaped to India. "As a result of this war (1971 ) East Pakistan was forever severed from Pakistan and Pakistan lost the distinction of being the largest Islamic state. East Pakistan was named Bangladesh and Indian plunder there gave rise to an economic crisis. More than 90,000 of Pakistan's soldiers were made prisoners of war. Their return became a problem for Pakistan. The new of the fall of Dacca fell on West Pakistan like a bolt of lightning. National prestige was wounded. Socialist elements came into the open and the country entered the most precarious phase." There are scores of pages about the PPP regime and a long chapter on the 1973 constitution - a sheer waste of labour, it would seem. About the sacking of Balochistan and the NWFP ministries, the author says: "Bhutto government from the very beginning doubted these (NAP and JUI) leaders' loyalty to the country. Therefore when it learnt of their subversive activities, these ministries were abolished." (Mark the emphatic verdict of the author).
" .... on paper these reforms appeared to be pleasing attractive and progressive. But they did not yield long-range results and soon the people rejected them, because instead of proving useful and conclusive these added to the suffering and hardships of the people. The land reforms gave birth to a confrontation between cultivators and the landlord class, as a result of which the cultivator class faced humiliating difficulties and had finally to seek compromise with the landlord class. Industrial reforms gave rise to an unending strife between the employer and the employee. The nationalisation of industrial units not only affected production but the standard of the products also fell. And worker became comfort-loving shirkers and impudent ('tan asan, kaam chor aur gustakh ho gaye') ... "
The description of events since 1977 makes one wonder if integrity and truthfulness are considered at all important. One is reminded of the girl who walked into a bookshop in the United State and wanted to buy a history of the American civil war written objectively from the southern point of view! The discussion of foreign policy elicits quite a few interesting points. Under Ayub, Pakistan adopted the policy of seeking good relations with the Communist bloc. The policy continued til the Indo-Pak war of 1971. But this policy also did Pakistan no good. Rather, Pakistan lost a part - East Pakistan. The author is apparently not aware of Pakistan's policy of cultivating cordial relations with the Soviet Union. After condemning the Soviet role in the separation from East Pakistan the author observes: "Such events make it clear that Russia does not want to have close relations with Pakistan." Even after "this tragedy there has been no basic change in Russia's attitude towards Pakistan." "Russia did not like the creation of Pakistan on the basis of the Islamic code of life," etc. I could go on regaling reader with tale after tale from this compendium of hilarities. No disrespect to Mr Malik i intended. He may well be one of the better teachers/writers of the lot. It is also possible to make a serious attempt to tell the historians a few basic principles of the discipline involved. But the thought that a Pakistani child's understanding of history depends on the textbooks should be enough to leave parents numb with apprehension. This article was originally published in the Herald's April 1984 issue. To read more subscribe to the Herald in print. It's sad and injustice to it's citizens. The greater irony is that this article itself is also quite poorly written.